Mika Emilie Leonia Brzezinski who is an American television host and journalist is a well known democratic co-host of MSNBC’s weekday morning broadcast Morning Joe. Mika has fallen into many steamy debates while on air to give importance to hard and serious news rather than news that would entertain people. She has worked in many CBS network’s programs before joining NBC. She is engaged to Joe Scarborough since 2017. Mika Brzezinski was born on 2 May 1967 in New York City. Her father Zbigniew Brzezinski is a Polish-born foreign policy expert and former National Security Advisor Zbigniew Brzezinski and her mother Emilie Ann Benesova is a Czech descent Swiss-born sculptress. Her mother is the grandniece of Czechoslovakia’s former president Edvard Benes. In late 1976, her father was named National Security Advisor by the then-president Jimmy Carter. She has two siblings; Ian Brzezinski and Mark Brzezinskiski- an American diplomat and the United States Ambassador to Sweden since 2011). Mika attended The Madeira School and enrolled at George Washington University. During her junior year, she transferred to Williams College, Williamstown, Massachusetts and graduated from there in 1989. She majored in English after transferring from Georgetown University. Brzezinski began her journalism career as an assistant at World News This Morning aired by ABC in 1990. In 1991 Mika began working with Tribune-owned Fox-affiliated WTIC-TV/WTIC-DT based in Hartford, Connecticut. She worked hard and promoted to general assignments reporter from assignment and features editor. The very next year she joined WFSB-TV/WFSB-DT based in Hartford which is affiliated to CBS. Then slowly in 1995, Mika became its weekday morning anchor. Two years after working there she left it and joined the CBS network newscast and began serving as a correspondent and an anchor for the overnight news program titled Up to the Minute. Mika took a short break from CBS in 2000 and started working for MSNBC network which is CBS’s rival. In MSNBC she worked on the weekday afternoon show titled HomePage. She and her other two women co-anchors were described as “the Powerpuff Girls of journalism” by Entertainment Weekly. 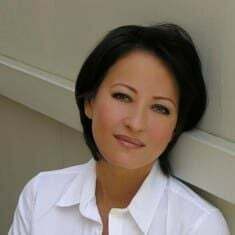 Then again in September 2001, Mika returned to CBS as a correspondent and it shoved her into the limelight as a principle “Ground zero” reporter for the September 11, 2001 attacks. Mika was broadcasting live from the scene when the South Tower collapsed which gave her report much public attention. She continued working for CBS News as a correspondent and also a substitute anchor and segment anchor for breaking news segments and regular updates. At the same time, she began contributing hugely to CBS Sunday Morning and 60 minutes before getting fired. On 26th January 2007, Mika returned to MSNBC and began working in “Up to the Minute” news updates. She then filled in MSNBC Live weekdays and weekends by anchoring primetime newsbreaks during the week. Meanwhile, she filed reports for NBC Nightly News and began appearing on Weekend Today as a news anchor. She has appeared on MSNBC’s morning program Morning Joe as co-host and news reader. We know for a fact that [Conway] tries to book herself on this show. I won't do it. Because I don't believe in fake news, or information that is not true... every time I've ever seen her on television, something's askew, off or incorrect. Her co-host said the decision to ban Conway from future appearances was based on her being out of the loop and in none of the key meetings. During the 2016 Presidential campaign, POTUS Donald Trump tweeted several times criticizing her and Joe Scarborough. In March 2017, she called Trump’s presidency ‘faked and failed’ and then Trump unfollowed her and her co-host on his Twitter. If calculating her success in monetary terms Mika’s net worth is $12 million. She has shown her gratitude towards MSNBC for treating women equally and stated that she was very lucky to be working there which she was referring to her own $2 million salary. Mika stands tall at the height of 5 foot 6 inches and weighs 132 pounds and has a perfect body shape. She previously lived in a beautiful 1920’s English Tudor-style house located in Bronxville. 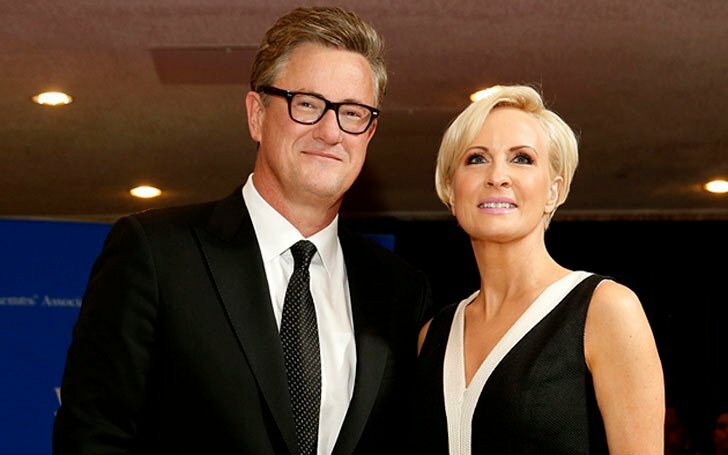 Mike Brezenski is engaged to her Morning Joe co-host Joe Scarborough since early 2017. 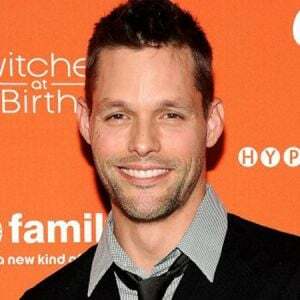 The couple began dating while she was still married to her ex-husband James Patrick Hoffer. She met TV reporter James Patrick Hoffer while working for WTIC-TV. Later the duo wed in a closing ceremony on 23 October 1993. They welcomed two daughters Emile and Carlie Hoffer. Unfortunately, after living for almost 23 years, the couple divorced in 2016. Her daughter Emilie Hoffer studies political science major at John Hopkins’ University. There have been many incidents while she was working in Morning Joe and one of them includes when she refused to read a report about Paris Hilton’s release from jail and when after another news break segment the producer Andy Johns shoved the story before the news about Indiana’s Republican Senator Richard Lugar’s break with President Bush about the Iraq war. Mika considered the political news important and thus she tried to light the script on fire while on air but was stopped. She then tore the script and an hour later got up and ran another copy of the same script through a paper shredder. The entire cast was stunned and so was the public when it got all over the internet. Many supported her thought of giving high importance to political news rather than entertainment news. Mika has authored two books till date. Her first book All Things at Once was published in January 2010 by Weinstein Books. This book of hers focuses on helping women of all ages to confront the unique professional and personal challenges which will help them to balance both perfectly. Her second book titled “Knowing Your Value: Women, Money and Getting What You’re Worth” was published a year later by Weinstein Books which talked about her own personal story. Mika is also the cousin of famous author Matthew Brezinski. The couple met while working at WTIC-TV and instantly fell in love after a few dates. Mika and former husband are parents to their two children. There seems to be no sign of divorce as the two seem happy while out in public and.